Spring Green Smoothie is Full of antioxidants and low cal. Kefir and buttermilk offer loads of probiotic and protein to this flavorful, filling breakfast! 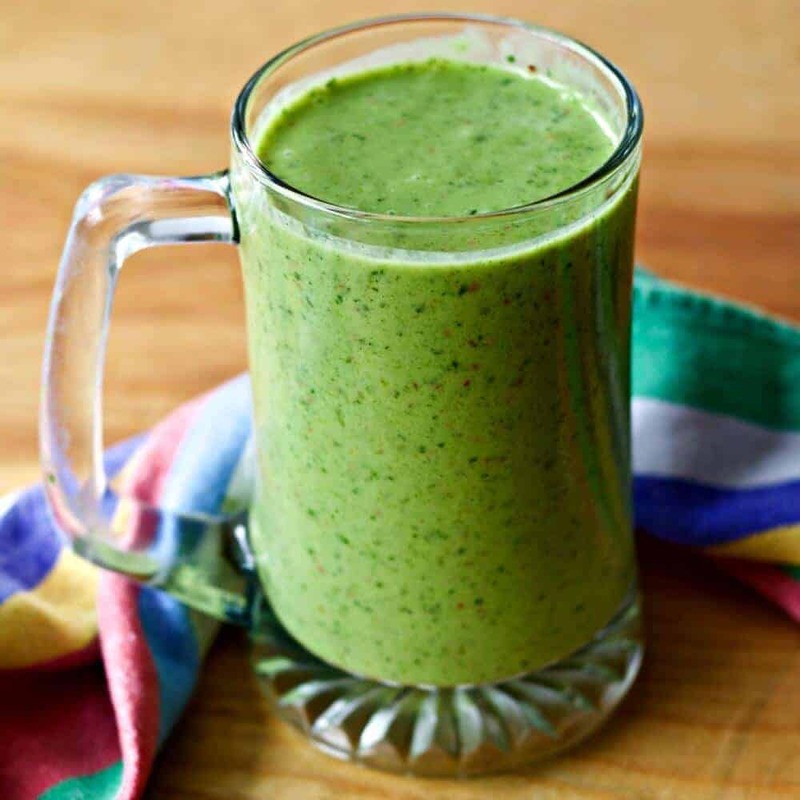 Enjoy this Low-Sodium, Vegetarian, Gluten-Free smoothie with dandelions and kale greens! Just 180 calories per serving! Springtime means kale and dandelion greens are in season! Both of these healthy leafy greens are perfect nutritional additions to this nutritious breakfast smoothie! The kefir and buttermilk add protein and Powerful probiotic for even more nutritious strength. The frozen unsweetened fruit blend and banana, also good for you, make this healthy breakfast drink SO delicious!! If you’re a smoothie lover, we have several smoothies recipes. We also have recipes for green juices! Drink your fruits and veggies for a real boost to your day! Spring Green Smoothie ingredients. So good and so good for you!! Look at those gorgeous dandelions we foraged from our field this morning! The kale is wintered over. Springing back and growing. It’s going in this nutritious smoothie! Why Dandelions? Go To this post for an in-depth talk about the many health benefits dandelions offer us! I discuss Kale health benefits here. Dandelions greens add lots of nutrients to this breakfast! Any healthy greens can be used in this smoothie, of course. But all greens offer unique properties. Go find out what’s so special about kale and dandelions. Lots Is!! This is a rather eclectic ingredient collection of smoothie ingredients. The greens are one thing. But what about the buttermilk and kefir? The buttermilk I’m using is full fat with live cultures.This buttermilk is so sweet and mild you can drink it plain. Not many buttermilks can make that claim. I’m also using up the last of my[easyazon_link identifier=”B00B03ZZEM” locale=”US” tag=”homefoodjunk-20″]plain full fat kefir[/easyazon_link]. Chock full of probiotic, kefir makes a ton of nutritional sense in this breakfast. I used kefir recently in my Kefir Smoothie Bowl. I’m sort of addicted to it now. My granddaughter Ellie and I enjoy kefir most mornings for breakfast with my homemade steel cut oats quinoa gravel granola and frozen blueberries. She loves the combination! So do I. The health and flavor factor of natural grass-fed guernsey dairy products are amazing. Go find some and tell me if you agree! This recipe is easy to put together. Just chop the greens and banana and throw it all in the blender as directed. Breakfast is served! 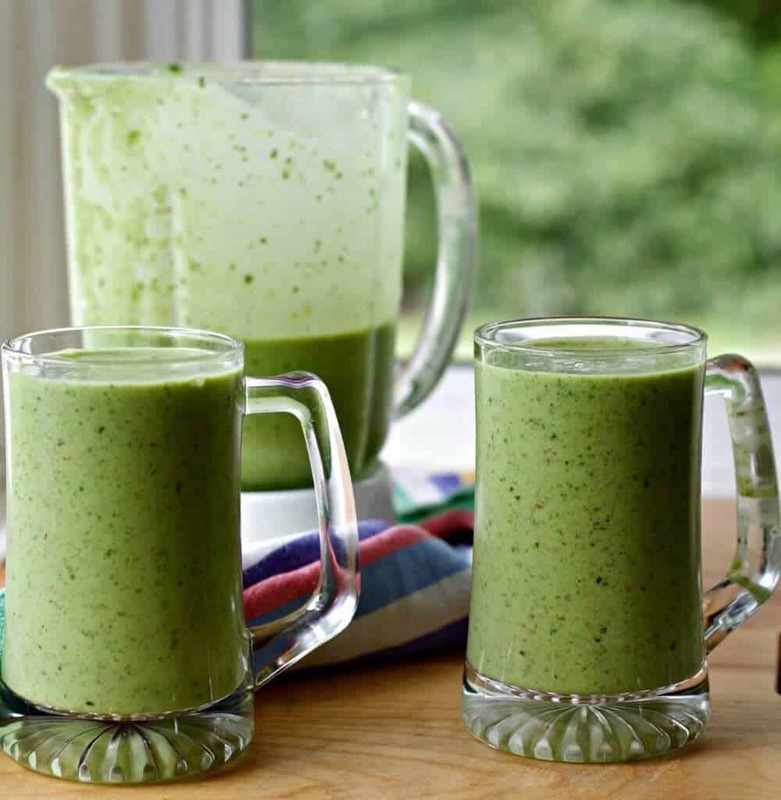 Spring Green Smoothie is Full of antioxidants and low cal. Kefir and buttermilk offer loads of probiotics to this flavorful, filling breakfast! 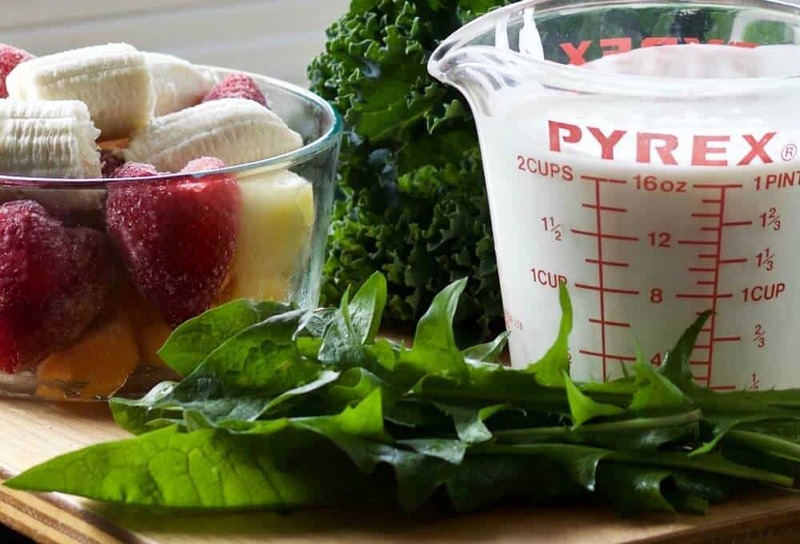 Enjoy this Low-Sodium, Vegetarian, Gluten-Free smoothie with dandelions and kale greens! 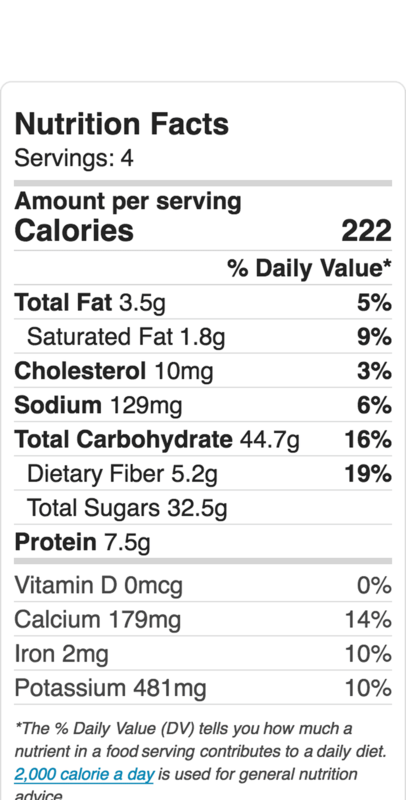 Just 180 calories per serving! Pour the kefir and buttermilk into your blender. Add the chopped greens 1/3 at a time and pulse a few times until blended. Add frozen fruit and blend until thoroughly mixed. Previous Post: « Dandelions Benefit Pollinators and People! Thanks for sharing at Let’s Get Real Friday Party. I would use a non-dairy alternative but otherwise this sounds delicious. Hi Karen, This smoothie would be different with non dairy, but I’m sure it would be good! Thank you Catherine. This is an excellent smoothie! The color is just amazing! This is loaded with taste and vitamins! 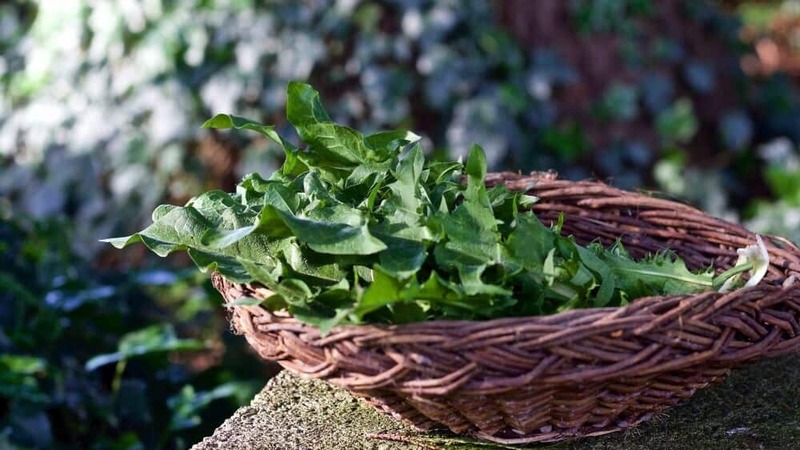 I love Green smoothies but haven’t tried using dandelion greens! Now I know I should! Love this! Maeva, I agree. Such a great way to start off the day! Oooo, I need to add dandelion greens more to my green smoothies! Can’t wait to give your smoothie a try. Great way to start the day! Your smoothie sounds delicious, I never thought to add buttermilk. 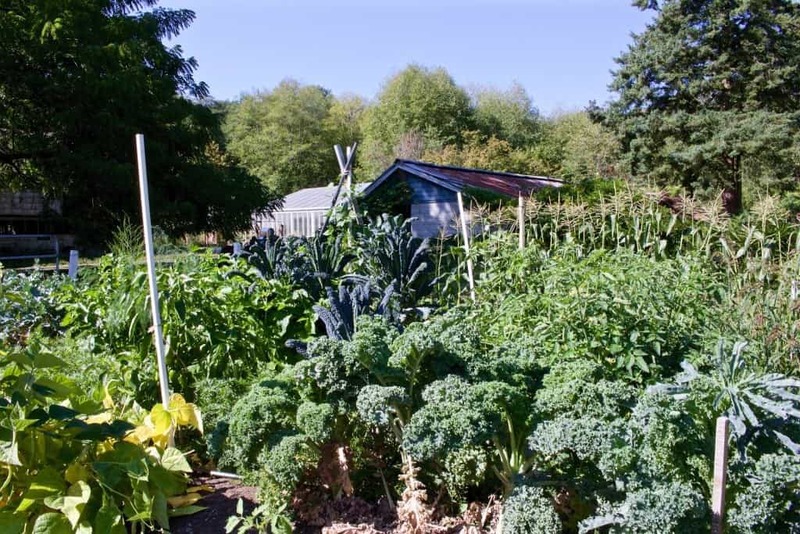 I also love your gardens, they are so beautiful. Thank you Joanne,the buttermilk-kefir combo tasted great in this recipe. And So good for you! This looks yummy! I have yet to try dandelion greens, but really want to. We feed them to the fish at the aquarium where I volunteer. I should sneak a taste. One day I will try them! Eat them young, tender and organic Debi. LOL, you never where they source the ones they feed the fish! Gorgeous color and some inspiration for a “new to me” green. Love this and the peach smoothie and the bowl. All fantastic. You are on a roll, my friend! Thank you KC 🙂 I love to make smoothies this time of year. All the greens are so fresh and full of vital nutrients. Dandelions and kale make a tasty addition to juices and smoothies. Love them both! Wow ! your recipe looks so yum and healthy too. I love green .. and will try it soon. Wonderful Pooja! Please let us know how it turns out for you! It is really healthy. Just try to keep the fruits and sweetener under control. This smoothie ROCKS for breakfast! It really is yummy Nettie! Dandelions are very underused. They are so good for us! We just need to find organic young tender leaves for the best flavor. But the whole plant will do you good! Great looking smoothie, I love them to start my day and love green ones even more! I hope you give this one a try Tara!